It's fantastic !!!!! I love it. It's soft but I bought an extra firm also so I switch! 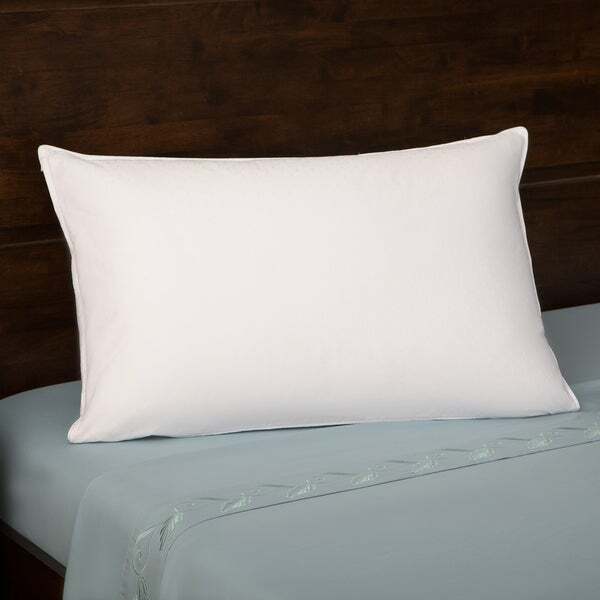 This 330 thread count pillow offers down and feather in a comfortable construction, while also being conveniently hypoallergenic. It features a removable white cotton cover that is both stylish and soft. "Do you have any 100% GOOSE DOWN PILLOWS?" Hello Lisa Kramer F., because of FTC regulation, an item labeled as goose down must have a minimum of 75% down clusters. I was able to locate one under ITEM# 16833899. Thanks for shopping with us! "what is the percentage of down and the percentage of feathers, please?" Hello apfredericks, the pillow is75 per cent down and the rest feathers. Thank you for shopping with us. "What does the label say on the pillow: 100% goose down? I do not want a feather / down combination." Hello Sidney, this is down and feathers.